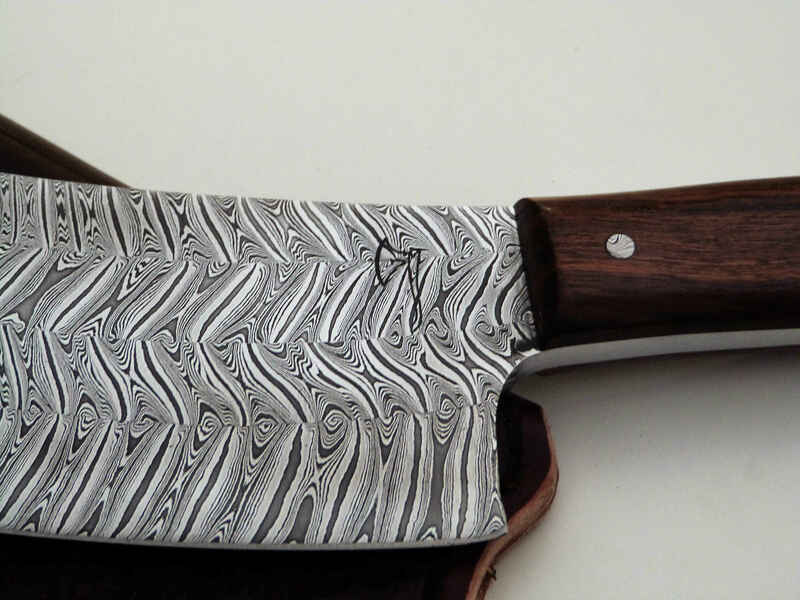 – Kitchen-axe made of damascus steel twisted multi-bar. 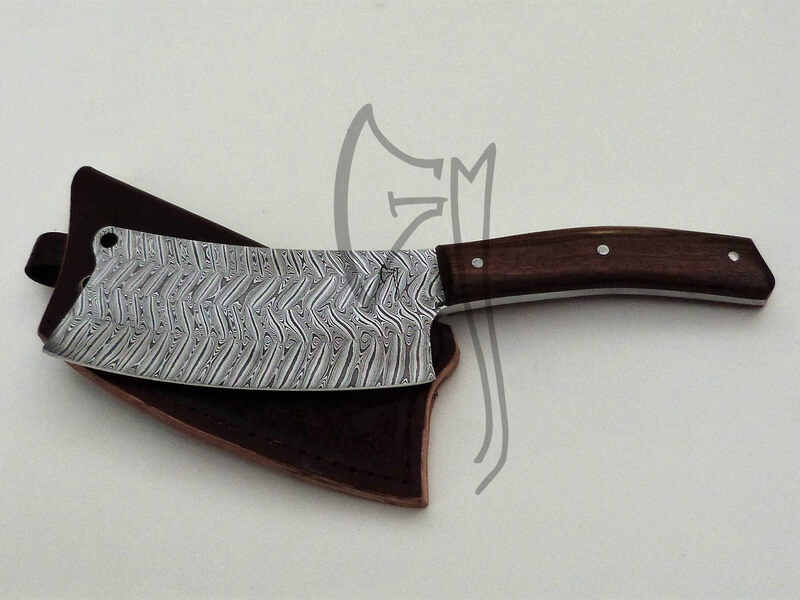 Damascus steel rivets and Desert Ironwood handle. Is this knife still for sale. Love the work. I was curious to know how much this piece would be priced at? More info on your products, including this one, the “Kitchen Axe”, please. 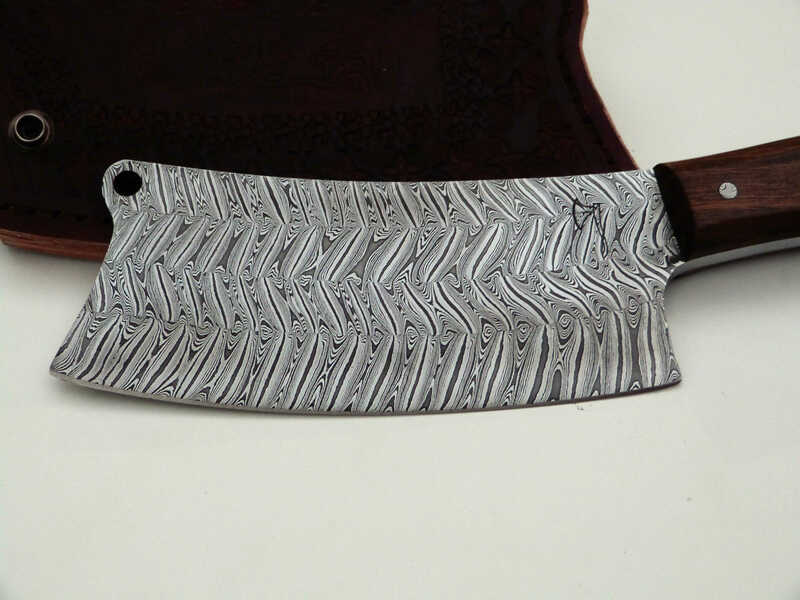 was wondering about getting a kitchen axe and a Folding Knife with Tantō blade design. With leather shief and wood grip. It looks like many of you knives are larger.. does this sound like something you would do?